Welcome to the Queen City: a Southern jewel whose one-of-a-kind attractions and unique beauty shine brightly. Our crowning glory? A friendly, diverse and creative class of people who thrive on adventure, inclusiveness and the constant curiosity to seek what's new and what's next. 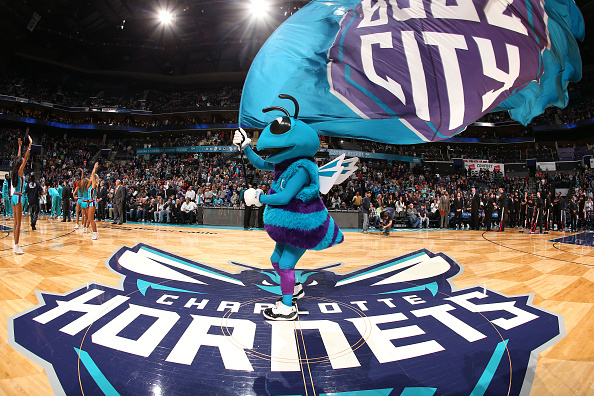 “The Queen City”, “Crown Town,” “Buzz City,” “The QC,” “home”—whatever you call Charlotte, welcome. We hope you’ll stay a while. But whether you’re here for a pinch or have planted roots, we invite you to fall in love with the city in all the ways we have. What makes us a standout on this great, big map of phenomenal places? We’re not just one of a kind; we’re one of every kind. From the diversity of our residents to our colorful history, which you’ll find represented in every corner, Charlotte is a melting pot. We’re a heaping spoonful of natural beauty and metropolitan splendor. We’re a blend of inventive chefs, talented artists, fierce athletes and mission-minded gamechangers. We’re equal parts funky and eclectic, traditional and charming. We’re a mix of night owls, early risers and all-day adventurers. We’re a dash of every different language and a sprinkle of the world’s cultures. Want a taste of the town? Order a plate of barbecue or a banh mi sandwich from one of the food trucks roaming the streets. Admire the rare artwork housed in our many museums. Snap a selfie with an 18th-century statue. Sip something crafty at a South End brewery. Take in a Broadway show in Uptown. Shop stylish threads in South Park. Scale Crowders Mountain. Ride the Booty Loop in Myers Park. Groove to live music in NoDa. Toast cocktails in Plaza Midwood. Get behind the wheel of a race car in Concord. Celebrate at a cultural festival in Dilworth. 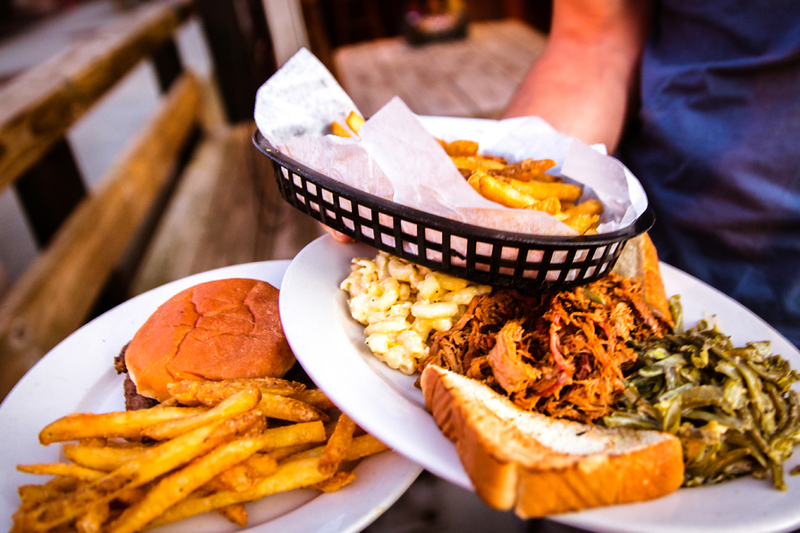 Whatever you do in Charlotte, we invite you to make it your own. No matter your distance—regional, national or international—there’s a quick and stress-free way to get to Charlotte. Whether by plane, train or automobile, we’ll help you find the route that gets you where you need to go. Once you’re in town, navigating the city is a breeze. 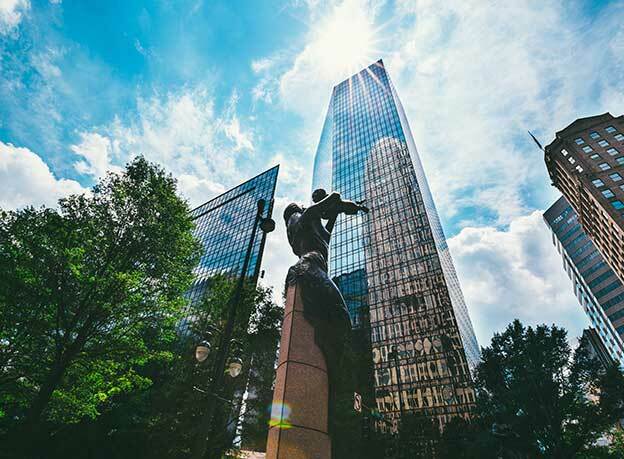 With a speedy light rail system, multiple bike-sharing and ride-sharing services, and bus routes that traverse the region, you’ll have plenty of ways to get you from point A to point B, C and D.
Carolina blue skies can be seen year-round in Charlotte. With an annual average temperature of 61.5 degrees and the annual average precipitation of 43 inches distributed evenly throughout the year, weather in the Queen City is fair and mild. Winter is welcoming, spring and fall are transformative, and summer is sunny and bright.